HomeWorldIs It Because Of President Trump That North Korea Launched No Missiles In 2018? NBC: North Korea launched no missiles in 2018. But that isn’t necessarily due to Trump. Experts say that while the eye-catching weapons displays may have ceased, other more subtle parts of Kim Jong Un’s weapons program continue apace. North Korea didn’t carry out any missile or nuclear tests in 2018 — an apparent vindication of President Donald Trump’s unconventional foreign policy approach. 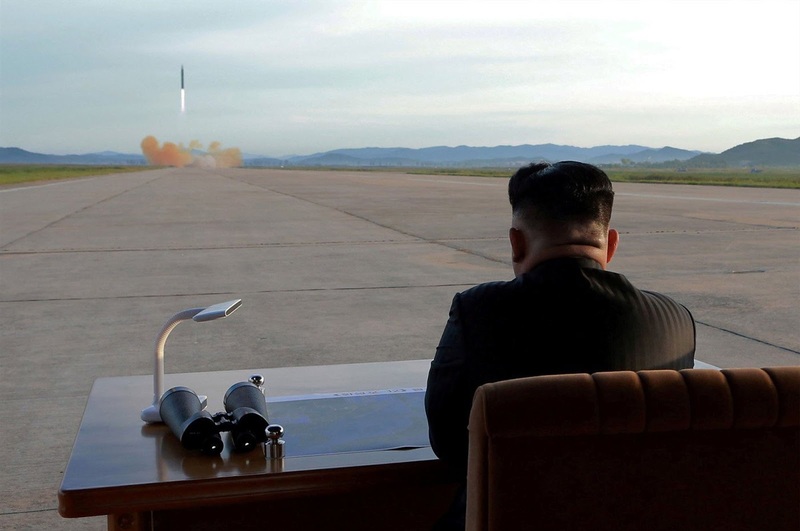 The drumbeat reached a peak in 2017, when Kim Jong Un’s regime launched its first intercontinental ballistic missiles — theoretically capable of striking the United States mainland. It also tested its most powerful nuclear weapon to date, which it claimed was a miniaturized hydrogen bomb. WNU Editor: If it was not for President Trump, North Korea would still be conducting missile and nuclear tests. The dynamics changed when the U.S. was able to convince the UN to impose comprehensive sanctions in the fall of 2017, coupled with pressure from the White House on Russia and China to respect them. This forced North Korea to the negotiating table, helped by South Korea when a North Korean delegation was invited to this year’s Olympics in South Korea. South Korean President Moon was the first to acknowledge President Trump’s contribution earlier this year …. South Korean President Moon Jae-in Credits President Trump For The Current North Korean Talks (January 10, 2018).